It is fascinating to visit this beach each year as coastal erosion is so fast. I decided to spend today, the last of a few days off work, in this area, in the hope of a cool coastal breeze to find some relief from the sweltering heat if nothing else. I also wanted to check the beach for any other signs of anti-invasion defences exposed due to erosion (i.e. dragons teeth, scaffolding etc) but got more than I bargained for! The amount of beach lost in a year was quite amazing, taking with it a First War Pillbox that was several metres from the cliff top when I photographed it last May. This pillbox was incorporated into the Second War anti-invasion defences as two Turnbull mounts for light machine guns had been erected in its embrasures. There is a unique one-off designed Second War pillbox just to the south (a combined Type 22 and 23) - how much longer has this got? Another pillbox, a Second War Type 22, is fast becoming buried in shingle. A lot more anti-boat scaffolding was in evidence on the beach, no doubt the remains of that still situated in shingle which I also photographed last May. Also found what looks like a small iron cannon ball - possibly grapeshot dating from the Napoleonic era - well you never know, what with their being a Martello Tower nearby! 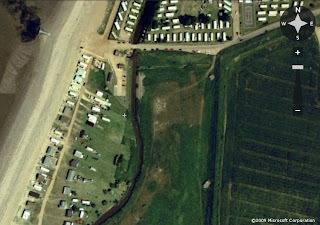 You can look up the full posts of this area last Apr/May on the blog for more pics of the beach as it was then! Image 3: The same pillbox as above photographed in May 2010. Image 4 & 5: Type 22 slowly becoming buried in shingle. Image 8: What I presume is the remains of the above scaffolding still situated in shingle in 2010. Image 9: Unique example of a combined Type 22 & 23 but for how much longer? Image 11: Some of the numerous swallows and martins breeding in the remains of pillboxes/coastal defence battery in this area! A few days in Norfolk this last week allowed an opportunity to visit a few Second War sites, the subject of the next few posts. Many exits from the beaches on the north Norfolk Coast were planned to be covered by anti-tank guns mounted in pillboxes. Type 28's can be found at Holme, Brancaster and Weybourne for example. 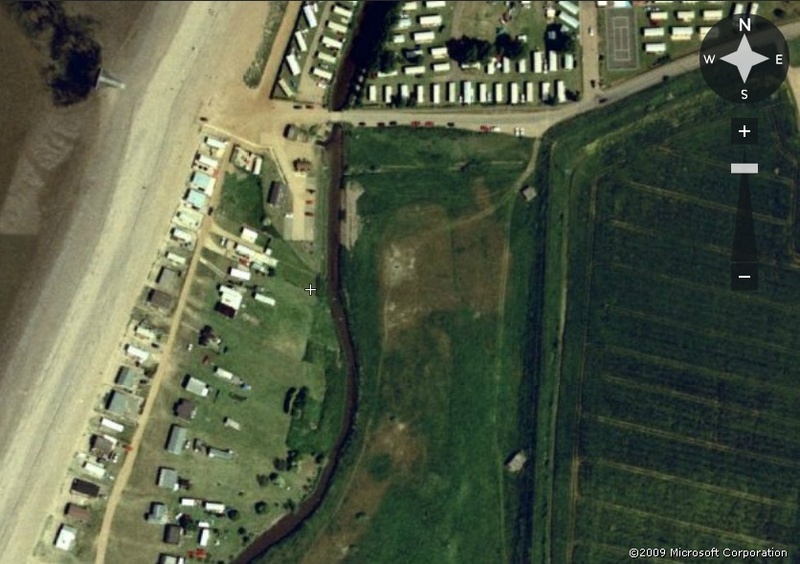 This post looks at two covering one of the beach exits at Heacham. In Suffolk no anti-tank gun pillboxes were constructed as part of the beach defences although 6 pounder anti-tank guns were mounted in a static role to cover the beaches and exits. A bridge crossing a ditch at Heacham south beach is covered by a Type 28 and Type 28a, with a spigot mortar also added. The bridge itself has anti-tank blocks to allow a rail barrier to be put in place. The Type 28 is used today as a storage shed and has a locked door and embrasures blocked. The Type 28a is unusual in that it has been modified so that there are separate entrances to the anti-tank gun chamber and infantry chamber. Also included in this post is the Coast Guard lookout constructed pre First War but undoubtedly used as a lookout / observation post during the Second War. By its side is a small brick built naval type pillbox. Image 2: Type 28 with Type 28a in the background. Image 4: Type 28a. These differ from Type 28's by the addition of an infantry chamber with two embrasures for light machine guns. Image 5: Interior of infantry chamber, Type 28a with the two lmg embrasures. Image 6: Rear of Type 28a showing the modified design with separate entrances for the anti-tank gun chamber and infantry chamber. Image 7: Wide embrasure for the two pounder anti-tank gun. Image 8: One of the anti-tank blocks on the bridge, overlooked by the Type 28a pillbox. Image 9: Bridge with anti-tank blocks. Image 10 and 11: Coast Guard lookout and naval type pillbox, Hunstanton. These pics are all from one of the accommodation sites. As they clearly show, the remains of this site will not be around for much longer! Both blog and website now over 10,000 hits so thanks to all who have looked! Some of the buildings and runways / taxi tracks still remain at this site. Some of the buildings are still in remarkably good condition and are still used as sheds etc. Some are in an advanced state of collapse and will not be around for much longer. This post (and one to follow) has some pics of the remaining evidence. 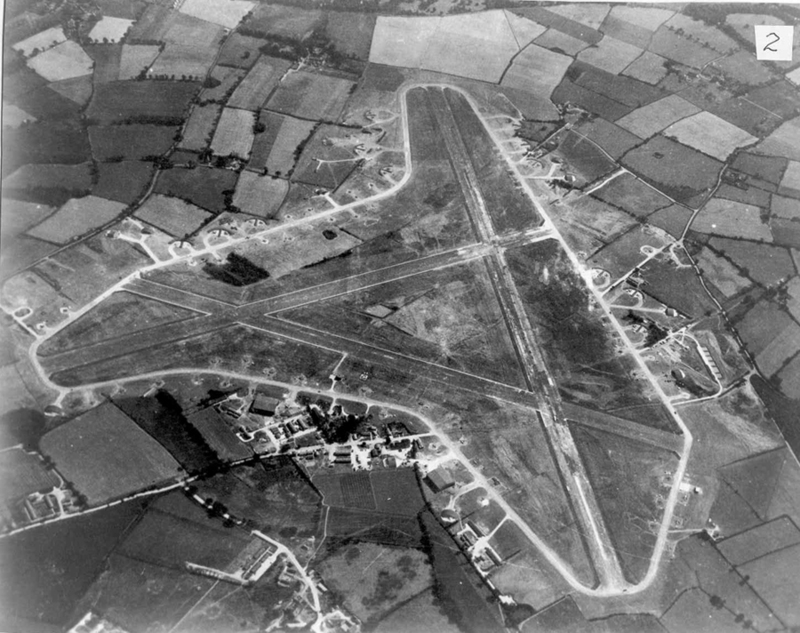 Construction of this airfield began in Sept 1942. Located near Theberton / Saxmundham and Leiston it was known after all three places although it is best known as Leiston airfield. Initially to be for the use of RAF Fighter Command, it was allocated to the USAAF as a fighter base, for fighter escorts provided for USAAF bombing missions. The airfield has the 'A' runway layout with a taxi track around the perimeter. The workshops, domestic quarters etc were laid out around the perimeter. In Nov 1943, 358th Group arrived with P-47Ds but these were replaced with P-51s from 357th Group during Jan1944. This Group had several marked successes - for e.g. the Group claimed 20 enemy fighters shot down for the loss of three P-51s on a mission in Jun 1944 and on Jan 14th 1945 the Group shot down 48 enemy fighters for the loss three. For both these actions the Group received a Distinguished Unit Citation. Every year a memorial service is held in memory of the USAAF pilots who operated from this airfield which ends with a flypast of a P-51.